Periodontal disease, denture wearing, physical defects, injury, or trauma all cause deformity in the upper or lower jawbone. Because of this, patients may not be candidates for dental implants, and may be at risk of losing additional teeth. Bone grafting or bone regenerative surgery restore lost tooth-supporting bone. In a bone grafting procedure, Dr. Grossman surgically lifts away the gum and fills the area with bone or bone substitute. We have several grafting material options, which regenerate lost bone and tissue. Once we augment the bone, we simply close the area, allow it to heal, and wait until it's ready to accept the implant. This process can take up to 12 months, depending upon your situation. Once a bone graft has healed sufficiently, Dr. Grossman reevaluates the candidate for implant surgery. A sinus lift is a procedure performed on patients who have lost bone in the upper jaw. This typically results from gum disease or tooth loss. During your procedure, sinus membrane is lifted or repositioned, and bone is added to the upper jaw, near the molars. By adding bone to the upper jaw, we improve potential for success with dental implants. Ridge preservations are commonly performed alongside extractions to prevent bone loss that occurs following the loss of one or more teeth. Once your tooth has been removed, Dr. Grossman places a bone graft in the empty socket. 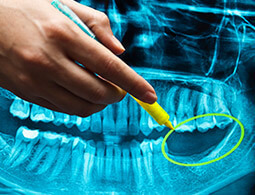 This may prevent the need for a major bone grafting procedure later. Ridge augmentations are typically performed sometime after tooth extraction. The goal is to preserve the natural contour of the gums and jaw. Bone loss is an inevitable consequence of both gum disease and tooth loss. By restoring these contours, we increase chances of being a candidate for dental implants. If you’d like to learn more about bone grafting or any of the services above, call our Acton office today to schedule your visit with us. Dr. Stephen Grossman is a skilled periodontist offering comprehensive restorative and cosmetic dentistry. Our offices are proud to serve patients from Waltham, Lexington, and all surrounding areas.